FREE LEGAL ADVICE CENTRES (FLAC) have said that it is “regrettable” that proposed jury service changes that have been proposed by the Law Reform Commission do not include deaf and blind people. 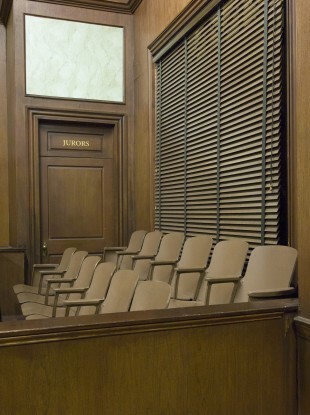 The legal human rights body, which has previously taken cases on behalf of deaf persons wanting to serve on juries, said that those currently eligible for jury duty would not be truly representative for as long as it continued to exclude both deaf and blind people. While the report, which was published by the LRC today, expressed concern at the presence of interpreters during jury discussions, FLAC said that deaf and blind people could still serve on inquest juries and in civil cases like defamation, which do not raise the same concerns as criminal trials. Senior solicitor with FLAC, Michael Farrell, said that if deaf and blind people were “allowed to serve on inquest and civil juries, the concerns that have been expressed about criminal cases would soon be dispelled”. In November 2010 Mr Justice Carney in the Central Criminal Court had ruled that a deaf person could serve on a jury with the assistance of an interpreter who had taken an additional oath of secrecy about the jury deliberations. While the LRC has now called for a further study of safeguards for the use of sign language interpreters with jurors, especially in criminal trials, FLAC said that they believed that this study should be accompanied by practical experience. Email “FLAC says 'Jury Service' report should include deaf and blind people”. Feedback on “FLAC says 'Jury Service' report should include deaf and blind people”.